In June 2018, the Islamic State (IS) in West Africa published a book titled, “Cutting out the Tumor of the Khawarij of Shekau by the Allegiance Pledge of the People of Nobility”. The book was written by two sons of Sheikh Abu Yusuf al-Barnawi, the founder and first leader of Boko Haram: Abu Musab al-Barnawi, the leader of the Islamic State in West Africa, and another son who belongs to the same organization. Following the death of Abu Yusuf al-Barnawi in 2009 in clashes between the organization and Nigerian security forces, Abubakar Shekau took over leadership of Boko Haram. In 2015, Shekau swore allegiance to the IS, thus inaugurating the organization’s West Africa Province. “The Brothers Within” – the history of Boko Haram from its founding by Abu Yusuf until Abubakar Shekau became leader of the organization. “The Principles of Faith of the Khawarij” – Shekau’s deviation from the straight path based on the fact that the human beings are founded on heresy. “Implications of the Principles of Faith of the Khawarij”. “Religious Rulings” that justify the battle against the Khawarij. According to the authors, the book is meant to explain Abubakar Shekau’s deviation from Islam and to warn the mujahideen against the ideas of extremists. The authors claim that the book is not the product of personal hostility and that its purpose is not to denigrate a particular person, but rather to present readers with the truth about Islam and prevent them from deviating from the straight path. The book can be divided into two main sections: the first section deals with the history of Boko Haram under the leadership of Sheikh Abu Yusuf al-Barnawi, and later under the leadership of Abubakar Shekau. 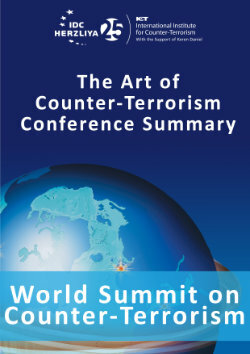 The second section deals mainly with the reasons why the IS in West Africa decided to split from Boko Haram, including the distortion of the Quran and the Sunnah by Shekau and his men, and conduct contrary to the laws of jihad, including the excessive use of "takfir” (accusing a Muslim of heresy) to justify the killing of civilians, Muslims and even his own men. The first section of the book provides a perspective on the early years of Boko Haram. According to the book, Abu Yusuf was born in the Yuba district of northern Nigeria to religious parents. His father was a Sufi Quran teacher who opposed Western colonialists. The book describes Abu Yusuf as pleasant, intelligent, generous and exceptionally articulate, and emphasizes the education that he received at the School for Islamic Higher Studies in Maiduguri. The book notes that when Abu Yusuf reached adulthood, he was alarmed at the situation of Muslims in West Africa and their support for democracy, and therefore sought to bring about the implementation of shari'a in Nigeria. In addition, it mentions that the sheikh was influenced by the Al-Qaeda attack on the United States, which encouraged him to start calling for jihad in Nigeria to save Muslims from Christian oppression. The book mentions that, at the beginning of his career, Abu Yusuf established contact with the Muslim Brotherhood in Nigeria under the leadership of Ibrahim al-Zakzaky, but after the latter turned to Shi'a, he split from him together with some members of the group. Afterwards, he joined the Jama’at Izalat al Bid’a Wa Iqamat as Sunna (Society of Removal of Innovation and Re-establishment of the Sunna) Salafist group, became a student of the religious scholar, Ja'afar Mahmud Adam, and was even appointed as the Emir of the Salafists in northeastern Nigeria. The book goes on to describe how Abu Yusuf separated from the “Izalat” group in 2002 because it cooperated with the democratic government in Nigeria, according to him. The book explains that Abu Yusuf opposed the “Boko” – western education in foreign schools in Nigeria, both for religious reasons and because it makes Muslims imitate the behavior of the Westerners. In his opinion, foreign schools are more dangerous than churches since the sons of sheikhs and imams learn in them, which gives the wrong impression that the education they provide is consistent with the Sunni faith. hence, the nickname of the group "Boko Haram" - a ban on Western ideas. Abu Yusuf's group declared its opposition to the democratic regime, which is opposed to the path of jihad and Islamic laws, and it claimed that whoever implements such a regime is a heretic. The group professed that the implementation of shari'a would only be achieved through the power of weapons and jihad. The book goes on to describe the centers and schools that Sheikh Abu Yusuf and his students had in various parts of northern Nigeria, in which the doctrine of the Ahl al-Sunnah was disseminated and jihad was preached. As for Boko Haram’s relationship with Al-Qaeda during the Abu Yusuf era, the book confirms that Abu Yusuf rejected ties with Al-Qaeda and the Nigerian Taliban. He established a Shura Council for the organization, which oversaw the activities of committees in various fields such as preaching, funding, security, charity and agriculture during his lifetime. Later, the book discusses the preparations for battle taken by Abu Yusuf and his men against the Nigerian regime, in the framework of which he called on his men to sell their property to purchase weapons, and he began to organize his army and appoint commanders under him. The books goes on to explain that during the battles between Abu Yusuf’s group and the Nigerian security forces, Sheikh Abu Yusuf was killed, which fanned the flames of the mujahideen’s battle in West Africa. After Abu Yusuf’s death, his deputy, Shekau, was chosen to lead the organization. The book presents Shekau’s modest start and his “difficult nomadic life”, and details his qualities that helped him gain the trust of Abu Yusuf and the group's operatives. He adds that when Abu Yusuf went out to preach jihad, Shekau was one of the first to join him and helped him to carry out dawah. Shekau’s lectures were passionate and simple, and he was persuasive. Because of these characteristics, Abu Yusuf preferred Shekau over the other preachers and made him his deputy, which the authors claim was "a mistake" because Abu Yusuf did not recognize Shekau’s extremism, which was expressed after he was elected leader of the organization. The book also sheds light on the connection between Boko Haram and Al-Qaeda after Abu Yusuf’s death in 2009. For example, it states that Shekau’s organization received guidance, assistance and training from Al-Qaeda in the Islamic Maghreb (AQIM), and that the link between Shekau and Al-Qaeda was strengthened. As a result of the strengthening of Shekau's organization, its mujahideen began carrying out many terrorist attacks in northern Nigeria, apparently due to Al-Qaeda's assistance. The book goes on to explain how Shekau's tyrannical leadership style gradually led the group to split. According to the book, the first signs of extremism in Shekau appeared slowly, as he gradually expanded the concept of takfir. At first, he made accusations of heresy even in cases where it could be explained by lack of knowledge, and later he even accused all Muslims living in infidel lands of heresy. In addition, he started to accuse his own people of treason, which led to a split and to the establishment of a new group named “Ansar al-Muslimin fi Bilad al-Sudan (Ansaru)” (Vanguards for the Protections of Muslims in Black Africa). The book also notes that “Ansaru” was influenced by the ideas of Al-Qaeda, while Shekau rejected Al-Qaeda’s advice in its attempt to dissuade him from his extremism. Regarding the connection between Boko Haram and the Islamic State, the book confirms that Shekau swore allegiance to the IS reluctantly in 2015 after the senior command group persuaded him to do so. According to the book, after the commanders appointed by Abu Yusuf were killed in battles against the Nigerian regime, Shekau exploited the situation to change the group's ways to the extremist principles of the Khawarij. He started killing at a whim, such that his men were no longer safe and his soldiers became highway robbers. As a result, the organization became disorganized to the point that his commanders swore allegiance to the IS in order to save the organization, which also forced Shekau to swear allegiance to the IS to avoid losing his position. Nevertheless, the book emphasizes how Shekau refused to obey the instructions he received from the IS, and even prevented members of the organization from traveling to Libya for fear that they would inform on him to the IS. In light of its dissatisfaction with Shekau’s behavior, the IS appointed Abu Musab al-Barnawi as the leader of the organization's wing in West Africa. The second section of the book includes a refutation of Shekau’s ideas, which are considered extremist by the IS, and an explanation of the harmful consequences of these ideas. In the book, it is claimed that Shekau’s traits are consistent with those of the Khawarij, since Shekau revived the tenets of the Muslim religion and broadened the concept of takfir so that anyone who was not part of his group was, in fact, accused of heresy. In addition, he adapted and interpreted the texts of the Quran according to his needs. The book adds that Shekau claimed to have reached the rank of mufti and issued fatwas against those who turned against him in the Ansar al-Muslimin fi Bilad al-Sudan group. He also claimed that he was able to issue fatwas on issues about which there is no explicit law (Ijtihād). The author notes that since Shekau did not have the knowledge of a cleric, he distorted many issues and misled his people, and made statements in areas he had no knowledge of. He adopted the principle that human beings are founded on heresy. In his opinion, if a person does not oppose democratic rule, it is a sign that he is loyal to it and accepts its laws, and therefore he is a heretic. The book makes it clear that only a person who joined Shekau's group is considered by him to be a Muslim, while a person who left the group it is considered a heretic. Shekau also did not give the Muslims an opportunity to repent and even those who wanted to join him were treated as migrants. Shekau went too far in applying the term "accusation of heresy" and claimed that Muslims living in infidel countries were themselves infidels. In fact, he allowed the bloodshed of the masses in Nigeria. He believed in the concept of “a chain of accusation of heresy”: a Muslim who does not accuse idolaters of heresy is essentially saying that their path is valid and he himself is a heretic. He added that one who would not accuse that same Muslim of heresy (for not accusing idolaters of heresy), is himself a heretic as well. This perception of a chain of accusation of heresy was rejected by the IS. The concept of "the lack of knowledge excuse" is also rejected by Shekau, while the IS allows the excusing of ignorance in certain situations depending on the circumstances (for example, a person who grows up in an isolated area away from clerics or someone who has just converted to Islam). In addition, according to the IS, one who immediately apologizes for a mistake he made based on a lack of knowledge should not be blamed. In addition to Shekau's ideas, the authors stress his non-compliance to the leader of the IS, Abu Bakr al-Baghdadi, on various issues, such as whether it is permissible to take captive and enslave the women of infidels (who abandoned Islam). Despite the fact that there are disagreements among the clerics on this issue, al-Baghdadi claimed that it is forbidden to take captive and enslave the women of these infidels, and it is only permitted to do so to the women of the original non-believers who are at war with the IS, such as the Yazidis, Christians, etc. Another example of Shekau’s non-compliance was his opposition to the issuance of an identity card and passports because it showed agreement with the tyrannical regime, in contrast to the fatwa issued by the IS clerics. The book notes that, due to Shekau’s extremist ideas, disobedience to the leader of the organization and the bloodshed of Muslims who opposed his ways, the IS renounced Shekau and replaced him with Abu Musab al-Barnawi as leader of the military wing of the IS in West Africa. In summary, the importance of the book stems from the fact that it sheds light on the relationship between Boko Haram and international jihadist organizations - Al-Qaeda and the Islamic State. The book emphasizes that Boko Haram was never an arm of Al-Qaeda but did receive training and funding from the organization. Regarding the IS, Shekau did indeed swear allegiance to the IS, and Boko Haram was an arm of the IS for a period of time, but the book emphasizes that he did not swear allegiance willingly, and from the outset he refused to obey orders from its leader, Abu Bakr al-Baghdadi. In addition, the book reveals to the reader what is considered radical in the eyes of the IS. From a broad perspective, the battle between Al-Qaeda and the IS as a battle for the hearts and minds of Boko Haram members. Only a year ago, in April 2017, Al-Qaeda published a booklet written by Sheikh Abu al-Hasan Rashid al-Bulaydi, a former member of the organization's Shura Council, on how to conduct jihad in Nigeria. That booklet was intended to inspire Boko Haram fighters operating in Nigeria to wake up from their mistaken path and understand that the key to correcting the current situation lies in their willingness to accept the intention of AQIM as in the past. In contrast, the current book, which was published a year later by the IS and is mostly devoted to Shekau’s extremist ideas, is intended to convince Boko Haram fighters to sober up from their wrong path and join the IS in West Africa.